With more than 20 years, Laser Definition is Thailand's first and leading Custom Electronic Home Designer since 1988 with installation and service systems of the highest quality that complement your home and lifestyle. 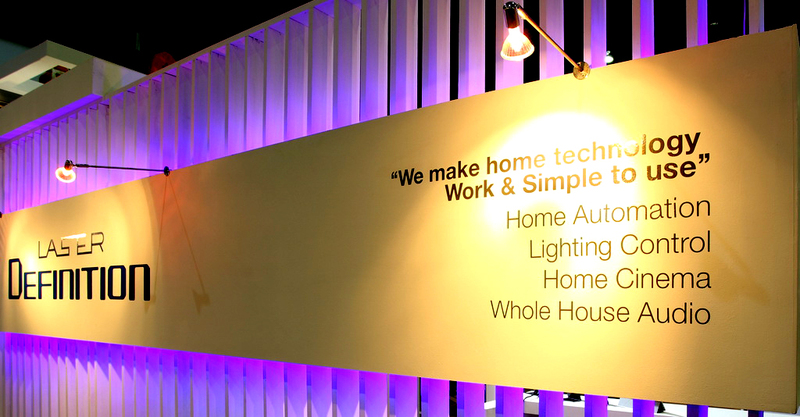 We simplify the total experience of your home. The first and only one Thailand, Home theater and all electronic controlled deiveces in your hourse.
" With several years' experience as electronic systems contractor, the husband and wife team cites their ability to combine suitable electronics with superior sales and engineering abilities as their main strength. They are also in constant communication with all involved at all of the different stages of the project. " " Laser Definition is special and different from other companies in the same business because they are not doing the business as a trader. On the other hand they look at themselves as a 'Solution Provider' who builds Home Entertainment to respond each customer's need. " " A key component of Laser Definition's success, says, Chalailak, has been its high standard of service and its ability to transform the dreams and wishes of its customers into reality. " Laser Definition is Thailand's leading custom electronics and home theater designer. With more than 20 years experience it has an impressive record installing tailor made residential electronic networks for homeowners, both in Bangkok and throughout the kingdom of Thailand. " In Thailand, ancient arts and Asian sensibilities coincide with an unsurpassed world of audio/video entertainment. Just ask the proprietors of Laser Definition, a Bangkok based audio/video installation firm. " All the players involved in this unusual installation are proud to say the home theater and billiards pavilion exceeded everybody's expectation. " According to Raymond Eaton, another pair of talented professionals also gets credit for enhancing his dream house. " I selected Laser Definition here in Bangkok to do my home theater. Mr. Krisda Chatikavanij and Chalailak have an excellent reputation and the range of products that they sell is of the highest quality. " " I visited the Laser Definition custom audio/video showroom and a home theater they had designed and installed in Bangkok. I had been introduced to Krisda and Chalailak Chatikavanij, the proprietors of Laser Definition, at the 1997 Custom Electronic Design and Installation Association (CEDIA) Expo in Atlanta. This delightful couple was quick to embrace home theater... "